Crocheted fabric can be on the heavier side compared to knit farbric. Mesh not only adds interest to your garments, it also lightens it up. Here’s a very simple mesh lace done with linen yarn which will soften up and have more drape after wash.
Dc into 5th ch from hook, *2dc into next 2 st, ch2, repeat across from * to the end, turn. Ch4 (counts as 1st dc and ch1), *2dc into 2-ch sp, ch2, repeat from * to last 2dc, dc into the top ch, turn. Ch3, *2dc into 2-ch sp, ch2, repeat across from * to 4-ch, do into the 4-ch sp, dc into the 3rd ch, turn. 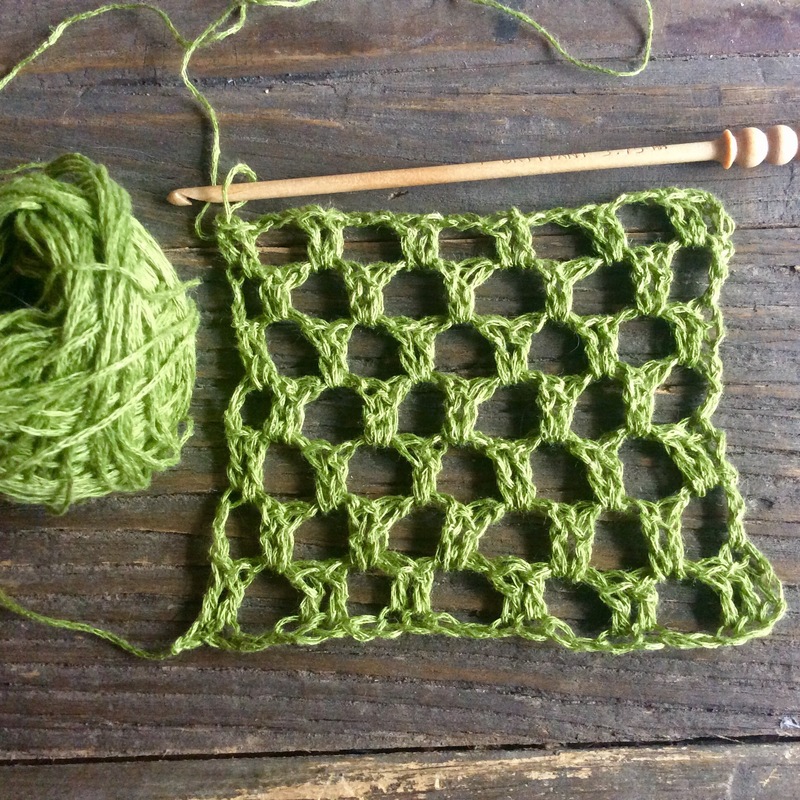 Repeat rows 2-3 until the desired length. Tomorrow I’ll be going over how to design a simple summer crochet top using this mesh stitch, so stay tuned!